Being authentic requires an immense amount of courage! In this life, we must continually be brave, bold, and courageous in order to be real and true with who we are. This is not because being who we are is so freaking outrageous, but because being real goes against the status quo, the mainstream, and the socially acceptable. 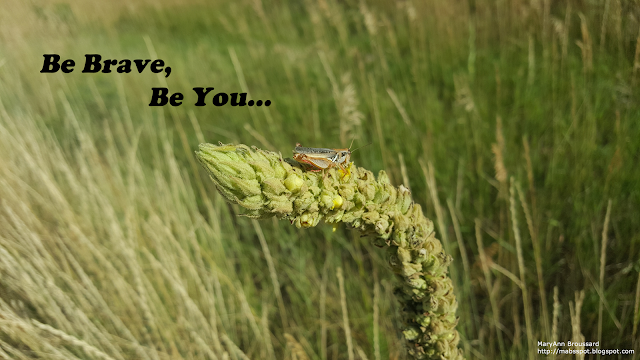 Are we too easily settling for living a pretend version of ourselves in order to fit in or be accepted or deemed as “normal”? Or are we hiding in a personal prison of constantly feeling like an outcast thinking that who we were created to be can never be enough? It may seem more acceptable or comfortable to hide behind different personality masks and our electronic devices, but that is not truly living the life we have been given. That life is a rip off! It is a life being the walking dead. I wanna see you and me be brave! Being authentic breathes life into us and into others. There’s a beautiful song by Sara Bareilles called Brave. This song has always touched my heart and inspired me.